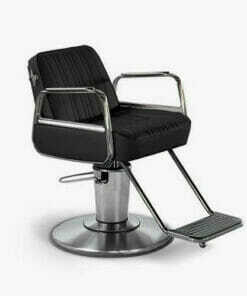 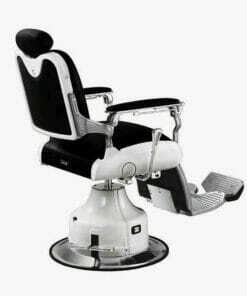 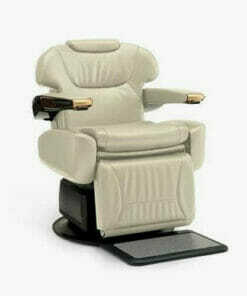 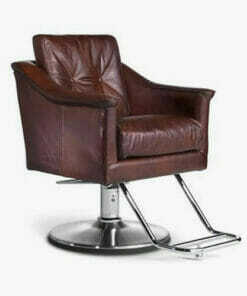 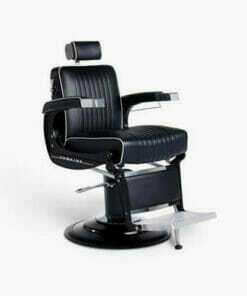 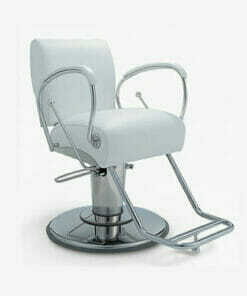 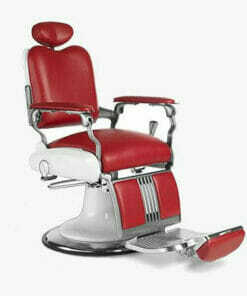 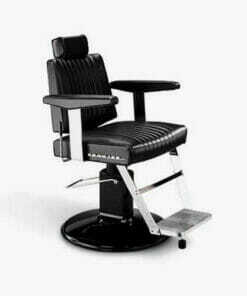 Takara Belmont Apollo 2 Elite Barbers Chair. 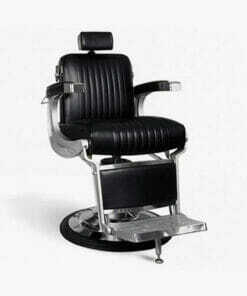 Traditionally designed chair with excellent durability and comfort, recognised the world over as one of the leading barber brands. 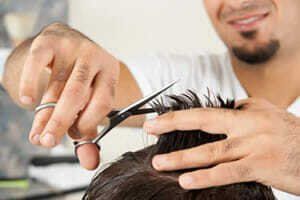 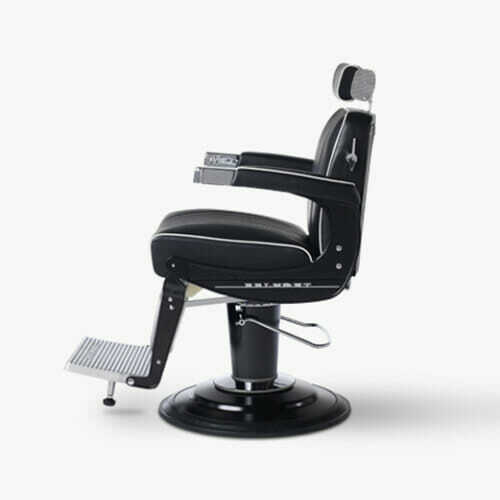 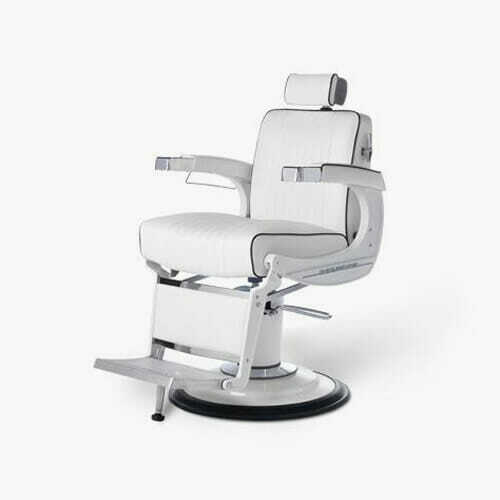 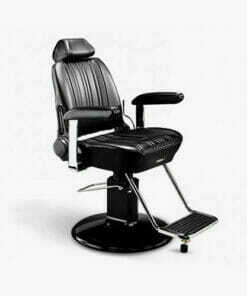 The Takara Belmont Apollo 2 Elite Barbers Chair is guaranteed to add style, class and sophistication to your shop. 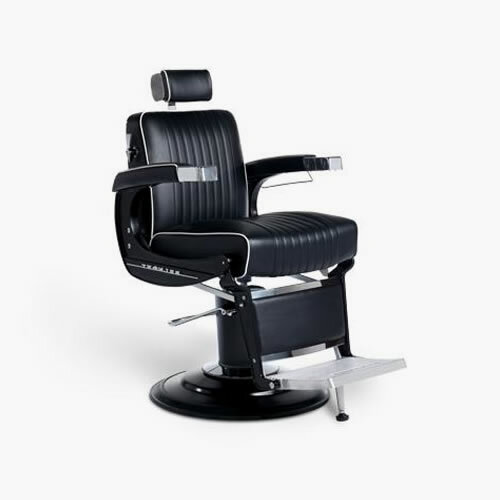 Styled on the original Apollo Chair, first released in 1961, the new Elite version has been designed with a more contemporary feel for the modern barber. 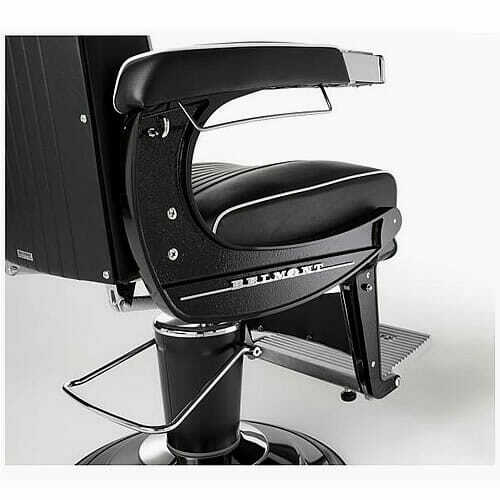 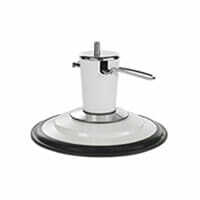 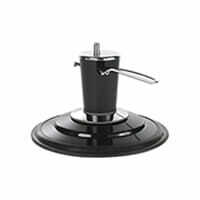 All metalwork is now available in either Gloss Black, Gloss White or Matt Black with a sturdy, round hydraulic base to match in either colour. 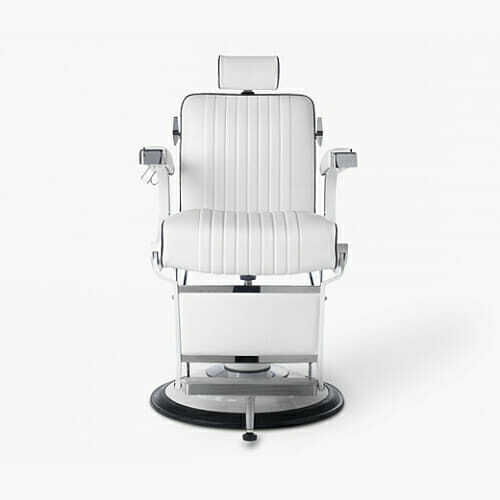 The hard wearing upholstery is easy to wipe clean and can be finished in Black or White, with contrast piping available for no extra cost. 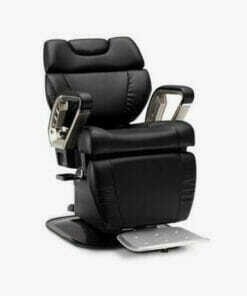 Reclining backrest with easy adjustment. 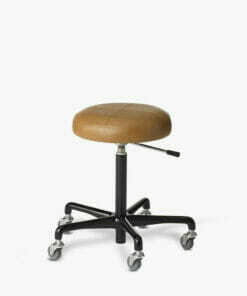 Spring-loaded seat cushion for ultimate comfort. 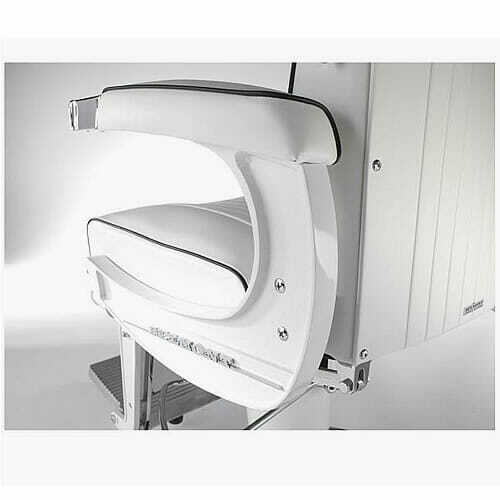 Please use the drop down boxes provided to select all options and feel free to call our sales team on 01270 630280 if you require any further help or assistance. 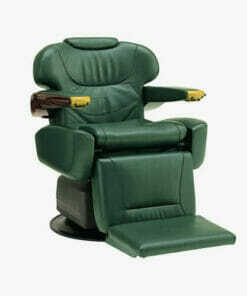 Dimensions: Height: 105.5cm, Width: 64cm, Depth: 97 – 133 (Reclined), Initial Seat Height: 55.5cm.